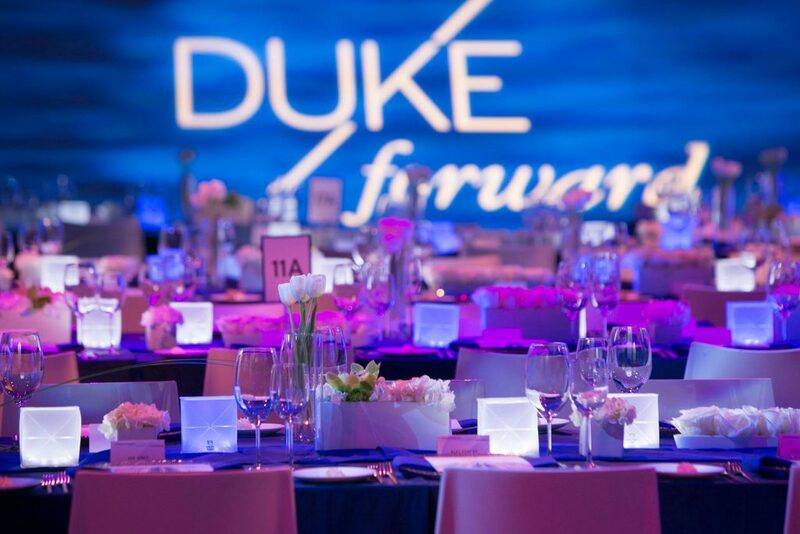 The Duke Forward gala was illuminated by Solar Helixes , which were then gifted to DukeEngage. As basketball season wrapped up last April, 800 people gathered in Cameron Indoor Stadium for one last hurrah. Rather than showing up with face paint and pom-poms, however, dress code was slightly more formal. Similarly, rather than cheering on our renowned Blue Devils, the guests had come from near and far to celebrate the success of the Duke Forward Campaign. 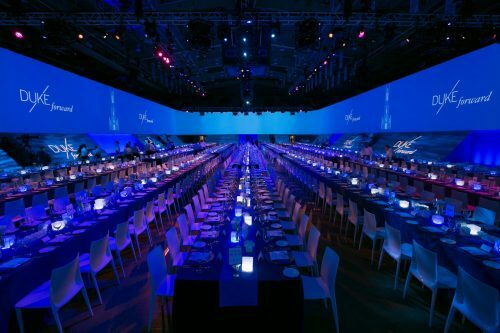 The gala was a stunning affair, following a phenomenal fundraising effort by Duke Forward; the program managed to reach its goal of $3.25 billion by late June, according to The Chronicle. A spotlight of the evening, however, came from an unsuspecting source: the lights themselves. The chic dinner table decor was accentuated by 500 glowing Solar Helixes, a sustainable and compact latern. Following the event, 300 of these innovative light solutions were gifted to DukeEngage, who was then able to offer them to our community partners. The attendees of the dinner were also provided programs that illuminated the journey of the cubes, beautifully reading, “The Solar Helix Lanterns on the tables are a safe, sustainable, and eco-friendly solar light source. Following the gala, the lanterns will be donated to DukeEngage to distribute to populations around the world in need of accessible lighting solutions.” The message warmed the hearts of many and garnered appreciative comments during and following the reception. Similarly, the communities that have received the gifts have expressed their thanks. Charlie Piot, a DukeEngage-Togo faculty leader shared in an email to DukeEngage officers, “Everyone here loves the small solar lamps, using them every night (in this village w/out electricity). Many thanks for these gifts,” a kind example of the tangible impacts of giving. DukeEngage Durban community member opening his Solar Helix. The SoLight Design product is approximately 1/2 inch thick when compressed, and comes in various cubic volumes when popped open. They are crafted in totality from durable and recyclable materials, a staple of the company’s mission. Each light comes equipped with a high-efficiency monocrystalline solar panel, LED circuit, and a lithium-ion battery. The solar panel will reciprocate 8 hours of power given 8 hours of charge, 7 hours of battery for 7 hours of charge, and so on. 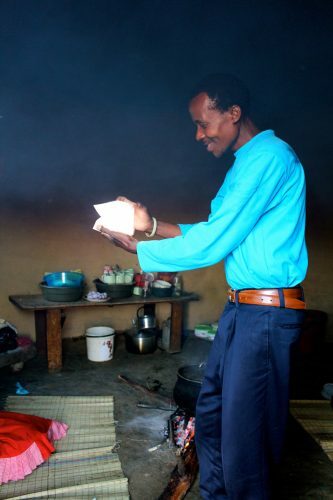 SoLight Design is committed to making these sustainable light sources accessible to all communities in need of such lighting solutions, and furthers their effort to do so by providing a light to a partner organization with each purchase of their product. In the true spirit of DukeEngage, the torch has been passed from network to network — sending light in all directions. 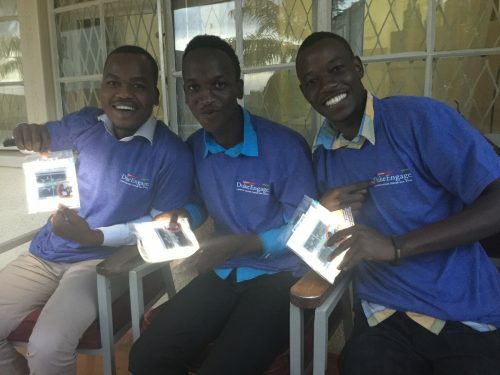 Community Partners in Uganda showcasing their Helixes (and DukeEngage T-shirts! ).